This is the Czech Absinth you will find everywhere in Prague. Its flavor is not very herbal, and the taste reminds more of sweet cotton candy than of real Absinthe. This is the Czech Absinthe you will find in every shop and bar in Prague. The flavor of this Absinthe is not very herbal, it actually brings to mind sweet cotton candy. If you don´t like the traditional taste anyway, this might be a good one for you. Nevertheless we have to point out, that Hills Absinthe is not a traditional Absinthe. 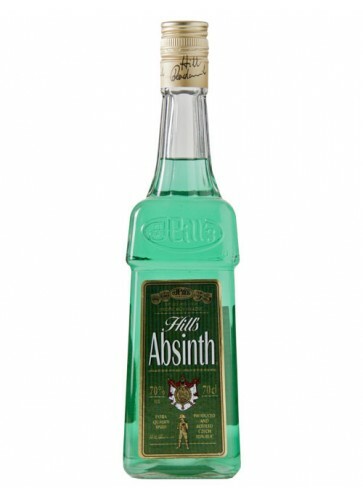 But as this Absinthe is so famous in Prague and due to the fact, that it was one of the first Absinthes legally available for sale after re-legalization of the Green Fairy, we decided to offer it as well here in our store. There was(I don't know if there still is) a USA version kind of like this absinthe. It had a much deeper blueish green color than this one has. More blue than green though. It probably had artificial coloring in it. It barely turned cloudy when I poured sparkling water in it, and it barely had an anise or liquorish taste to it. It was extremely bitter, but extremely sweet in a natural way and a little minty. I think a whole bunch of stevia was added to the mixture. No notes of herbs except maybe for hyssop was in it. There was absolutely no need to add sugar because it was already sweet. The alcohol volume was at 75%. Basically, it had a very bittersweet and minty flavor. The funny thing is that when I was almost drunk, the effects of the wormwood was a lot stronger than the Lucid absinthe that I would normally drink. The short but very wide barrel of the bottle had a picture of hyssop plants against a creamy background all around the barrel of the bottle. Needless to say it would have to be an acquired taste. At least for me anyway. The original Bohemian Absinth, if prepared correctly tastes brilliant. This is what dentists would call "mouth wash". 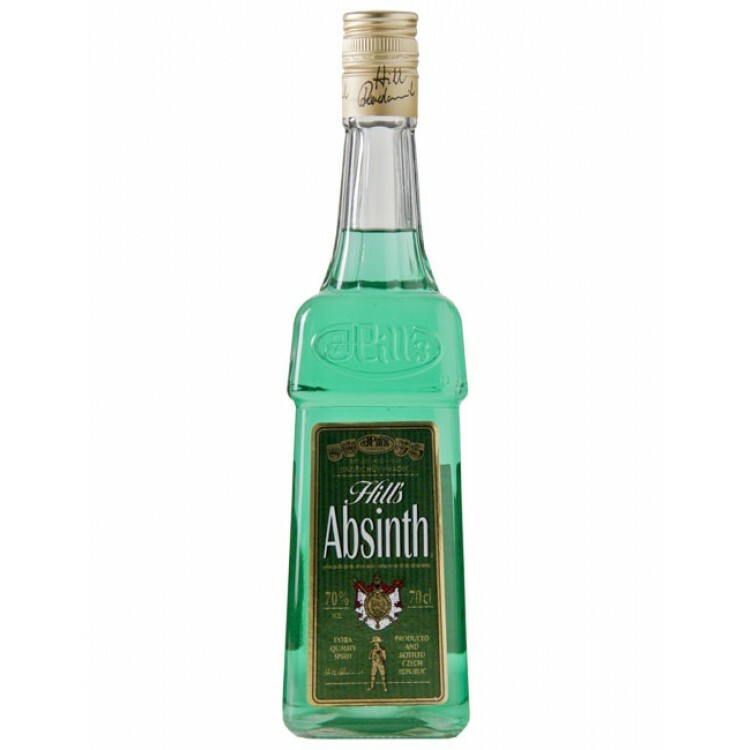 This absinthe may be enjoyable if you see it as ordinary liquer, but as "absinthe" it's a waste of money. I would like to call it "tourist absinthe". it has a nice mint taste to it, but that's about it. i enjoyed it very much, and willl buy another bottle. Mr. "Absinth Is About Effect" here to award my first ever 1 STAR RATING! Ah yes, this absinth truely has no redeeming value. Somehow the "herbal" taste just comes off as really artificial, but you know...SORT OF. This of course is a bad thing, as it looks and tastes really artificial and there is really just and undertone of an ATTEMPT at herbal flavour. And the 70% alcohol couldn't be more obvious. The bottle? Ugly, very ugly! The louche? Nonexistant. The price? Expensive. But as I always point out, a good thujone content can always make up for this to SOME extent. But hey, they even screwed this up! Much like the Strong 68 (which is at least better tasting, cheaper and has a sweet bottle) you can't even feel the secondary effects until you're half drunk, and if I have to be half drunk to feel anything that means I'm going to have to gulp down quite a few drinks of this vile thing that's as bad tasting as Vision (but is forgivable due to it's INSANE effects). And why the hell would I do that with so many better drinks available for less money? Why would ANYONE!? In any case, congratulations, Czech Republic; you're the only country to get both my 1 and 5 star ratings-both ends of the spectrum! You got the best and the worst! Unfortunately, today I'm giving you the worst. Congrats to Absinth 35, though, which ironically is the same price! So go and BUY THAT INSTEAD!